BAY CITY, MI February 5, 2006 - Century 21 Lockey Realty is pleased to announce that Jeremy Powers has been named Vice President and C.O.O. of Century 21 Lockey Realty and Margaret Lockey has been named Secretary/Treasurer. Powers will continue to represent both buyers and sellers in real estate transactions in the Tri-City area. "We are thrilled that Jeremy has accepted this promotion in our company. He is well respected in the real estate community and I'm confident that he will do a fine job for us." said Century 21 Lockey Realty President Steve Lockey. In addition, company President Steve Lockey is now affiliated with Century 21 Advantage in Sarasota, Florida. 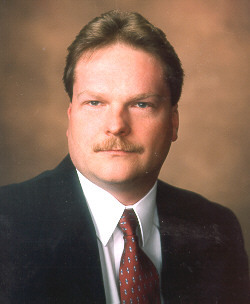 Lockey has been a licensed broker in Florida for six years. "I've always been interested in working the Florida market and I feel the timing is right" said Lockey. Member of the Bay County REALTOR® Association, Michigan Association of REALTORS® and the National Association of REALTORS®. Powers has been at Century 21 Lockey Realty since beginning his career in real estate.